Zetech College now uses Google Apps for education, a service that puts the college quite ahead in terms of the way they do things. The college has rolled out Google Apps to the 7500 students in the college. The college which recently opened a new campus out of town to increase capacity wants to stay in the forefront of technology use. 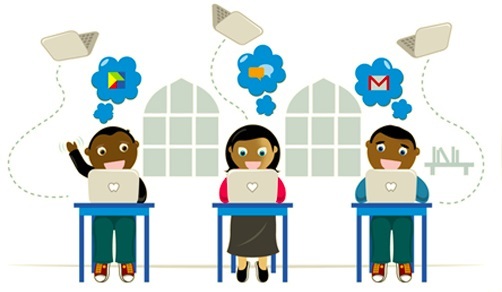 Google Apps for Education as a platform for examination, communication and collaboration comes in quite handy for the college by the ease of doing things and the reduced costs. The hosted solution caters for email, calendar, SMS, video chat, document sharing and shared websites within the campus. Students stay updated on the platform with things like lesson scheduling and timetables being done within the domain and the same available to students. All they need to do is access the internet on their smartphones or laptops and the college has hotspots which it plans to increase to be available all through the college. College Principal Prof. Edwin Wamukoya noted this new development is in line with the college policy to adopt emerging technological trends as a way of meeting the growing connectivity needs for students. “With these applications, our students are now able to communicate and collaborate with their lecturers and college administration on the cloud, meaning that our mode of communication is now absolutely paperless’ notes Wamukoya. Costs reduction – Use of Google apps for education has brought down costs in the three months they have used Google apps as exams and assignments can be handed out online. Results are also published online on Google sites. Stay on with the times – curriculum in many learning institutions is facing a slow pace of technology trends adoption and by using Google apps for education, Zetech then goes on to expose the students to trends like work collaboration, cloud computing and work planning using online tools. Once they are out they will already be familiar with this environment as they go to the job market. Next articleNew Nokia X2 With Upgraded Specifications coming up?